The March issue of Intercom magazine is now available. 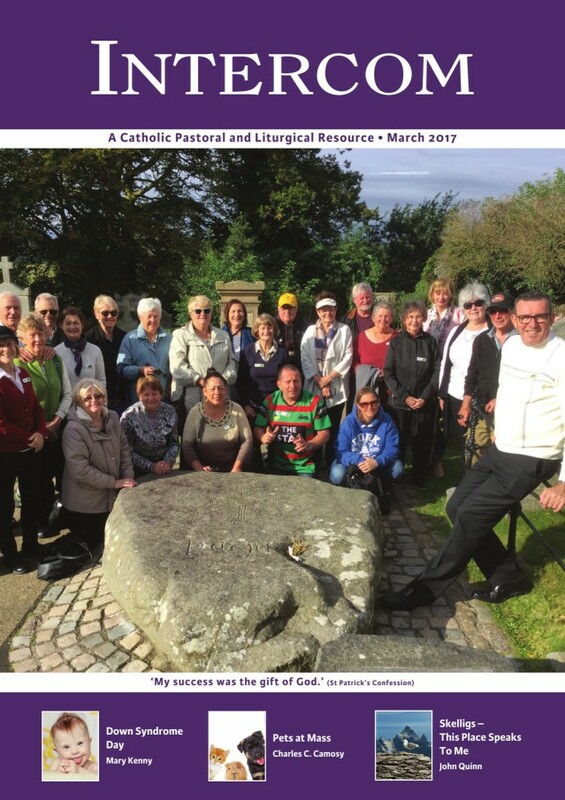 On this month’s cover, pilgrims from St Patrick’s Parish, Sutherland, Australia, visit the grave of St Patrick on their recent pilgrimage to Ireland. Our new issue has a special focus on the Holy Land Coordination group pilgrimage. “I found God in the Holy Land last week,” Editor Father Paul Clayton-Lea writes in his editorial, following his experience with the Holy Land Coodrination. The new issue of Intercom features a report and reflection from the recent pilgrimage and a special feature on L’Arche Bethlehem, who provide support for people with intellectual disabilities in the region. Other features include reflections from an Australian pilgrimage to Ireland, the story of London’s Commission for Filipino Migrant Workers, and an exploration of the Lenten Gospels, along with all our usual prayers, reflections and resources for the month of March. Click here to see the full contents page of our March issue. Newsletter resources, resources for Family Mass and Leathanach don Cheiliuraí for March will be available soon.